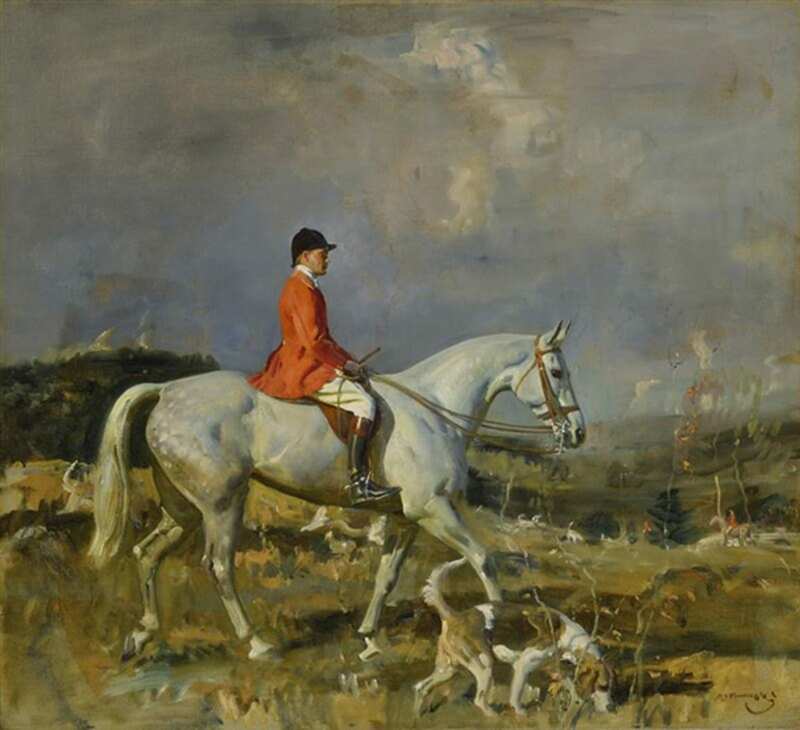 Sir Alfred Munnings has long been regarded as one of the finest equine and sporting art painters of his time. At a time where Impressionism dominated the field, he also proved himself to be the equal of some of the best portrait painters, as well. Munnings was born October 8, 1878 in East Anglia in the east of England and was celebrated for his depictions of horses and sporting art, though he was equally adept at painting human subjects and the landscape in watercolor and oil. 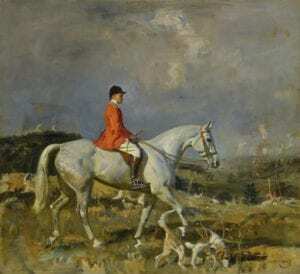 Many books have been written about Munnings and his art. I am going to discuss his approach to one of his portraits in particular: Daniel Tomkins and His Dog. Munnings painted this portrait when he was 20 years old. In this painting, he creates a vivid portrait of an elderly, genteel man and his dog relaxing in the park and enjoying the natural beauty. He set a mood of quiet contemplation with a horizontal composition and a cool, green palette. 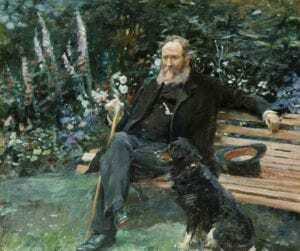 Tomkins is shown in a park setting, legs crossed, left arm resting casually on the back of the bench, right hand holding a cane, and his faithful dog sitting at his feet. The background is painted in the Impressionist style, which allows the viewer to enjoy the grass and the flowers without spending too much time focusing on the details. The bench, being the same color as the subject’s face, draws the viewer’s eye to Tompkins’ face, the focal point of the painting. These two areas are the only warm spots in a cool composition. Tomkins’ expression is casual but alert. Warm spots of color in his face suggest the sitter is healthy, despite his grip on a cane that leans against his knee. His hat lies upside down on the bench beside him, which suggests that he has done this before. The sitter’s age is hinted at by his somewhat wild gray hair rather than wrinkles on his face. British Impressionist Sir Alfred Munnings was best known for painting sporting art and horses, but he was also recognized as a portrait artist of royalty and society’s upper classes. He devoted most of his time to his chosen subject matter, but at age 41, he accepted his first commission and continued to paint “people on horses” for the rest of his life. For more information, visit the Munnings Museum online at: www.munningsmuseum.org.uk.